Sliquid Naturals Silk provides the health benefits of water-based lubricant plus silicone making this a thicker, longer lasting lubricant with a silken feel. Silk is ideal for sensitive internal tissues health with its hypoallergenic, non-toxic and additives and preservative free formulation. 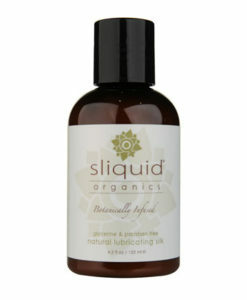 Sliquid silk is a natural water-based lubricant with the addition of silicone for extra longevity. 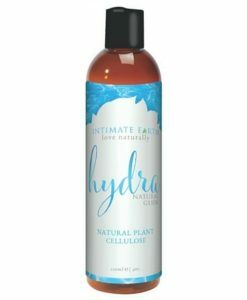 This unique blend of water and silicone (known as a hybrid lubricant) provides all the benefits of a water based lubricant with an added touch of luxurious silken smoothness. Who will Benefit from Sliquid Silk? 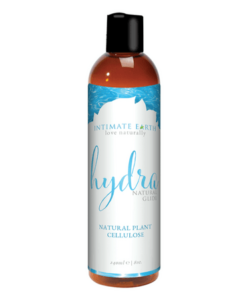 Water-based personal lubricants contrast with the petroleum and oil-based lubricants (e.g. Vaseline) which can irritate delicate vaginal tissues, harbor bacteria and contribute to vaginal infection.